Car sales in Britain are set to slide this year amid a slowdown in consumer spending, a report has claimed. Ratings agency Moody’s said new car registrations were likely to fall 5.5% in 2018, making the UK the “worst performing” market of any big European economy. By contrast, it said Germany, Spain, France and Italy would all see gains. Moody’s said the fall in the value of the pound since the EU referendum had made imported cars more expensive. It also said Brexit-related uncertainty was “weighing on consumer spending decisions”. According to UK industry body the SMMT, there were a record 2.7 million new car registrations in the UK in 2016 – the fifth year in succession that the market had grown. But in 2017 they fell 5.7% as consumers began to shun polluting diesel vehicles and avoid big ticket purchases. 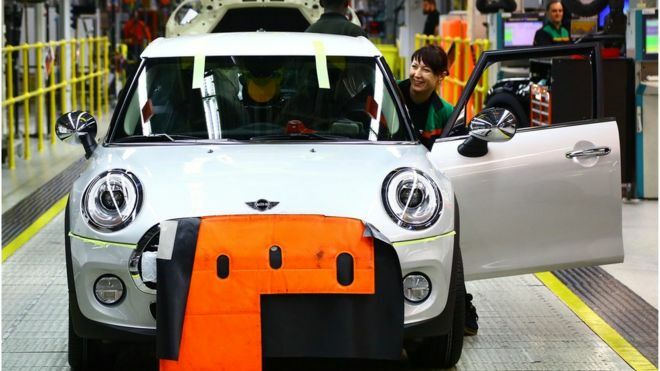 According to Moody’s forecasts, the UK will see just 2.4 million new car registrations in 2018 – equivalent to a more than 10% fall in two years – followed by a similar number in 2019. On the other hand, it said Spain and Germany would see registrations climb by 4.7% and 4% respectively in 2018. The forecasters said Italy and France would climb by 2.5% and 2.8% respectively, while Western Europe as a whole grew by 0.5%. The UK market will be the worst performer compared to all other major economies in Europe, and, even worse, the only one that is declining. Despite a recent squeeze on consumer spending, there have been signs the UK economy is doing better than previously expected. In March, the spending watchdog the Office for Budgetary Responsibility revised its growth forecast for the country to 1.5% for 2018, up from the 1.4% forecast in November. The OBR also said inflation would fall to 2% by the end of the year – in line with the Bank of England’s target. However, influential think tank the Institute of Fiscal Studies said the revised growth outlook was still “the worst in the G20”. It also warned that “dismal” productivity, earnings and GDP growth had become the “new normal”, as Britain continued to deal with the hangover of the 2008 financial crisis.